As it becomes easier for start-ups such as Warby Parker to reach consumers cheaply, they are posing a larger threat to big retailers and consumer products companies. NEW YORK ( TheStreet) -- Now more than ever start-ups are able to reach consumers in unprecedented ways, making it possible for the small "Davids" to go up against the "Goliaths," particularly in the consumer-packaged goods sector. Ridesharing companies like Uber and Lyft have challenged the taxi industry, Warby Parker has gone up against the eyeglasses industry, and now start-ups like Dollar Shave Club are increasingly posing a threat to consumer products giants such as the Gillette unit of Procter & Gamble (PG - Get Report) . Such consumer goods start-ups are one reason why the giants are losing market share and it's another factor for stock investors to weigh before buying shares. Companies such as P&G, L'Oreal (LRLCY , and Kellogg's (K - Get Report) once had total control over the industry, mostly because of the high cost of entry. A small company couldn't get its products on grocery store shelves, couldn't afford to pay for TV advertising, and couldn't afford the costs of supply chain. In today's era of Web connectivity, a young company can cheaply create brand awareness and reach a large audience. "You no longer need a huge upfront investment in sales and marketing to reach consumers or businesses," said Ethan Kurzweil, a partner at Bessemer Venture Partners in Menlo Park, Calif. "There's effective bootstrapping techniques that cost a lot less than what Gillette spends. It really is about the marketing and the ability to create an instant, ready-made audience where it's not who you pay for, it's the quality of your underlying service or product." The rise in e-commerce is further enabling these start-ups to thrive. According to the U.S. Department of Commerce, e-commerce is set to be a $494 billion market by 2018, up from an estimated $305 billion in 2014. Consumers are increasingly opting to order groceries or household items from the comfort of their couch instead of venturing out to physical stores. This allows start-ups to reach consumers by simply having a Web site. Dollar Shave Club, for example, saw an opportunity in men's shaving supplies and now delivers inexpensive replacement razor blades. P&G's Gillette blades can cost more than $40, but Dollar Shave Club offers a subscription service with razors at $1 to $9. Simply slashing prices though does not a brand make. Dollar Shave Club created its market by first developing a digital audience via video, putting out a 93-second marketing video in 2012 that today has more than 18 million views, in part due to its virality on social media and word-of-mouth. According to Dollar Shave Club co-founder and CEO Michael Dubin, the company's goal was simply to "help make life better for guys." They wanted to change the industry "with a different mission than other companies that sell razors." And while Gillette may like to think it has nothing to worry about, Dollar Shave Club's CEO told The New York Times it expected to exceed $60 million in revenue in 2014, triple its sales in 2013. The company also said that it ships 8.8% of men's razor cartridges in the U.S.
Gillette appeared to take notice and last April came out with a subscription service of its own. P&G's senior communications manager for North America, Kurt Iverson, said that its subscription service arose as a way to match the maturation of e-commerce and the online audience. But some experts believe that Gillette, for all its history in shaving, may not have the brand power to beat Dollar Shave in the razor subscription business. "It may appear on Gillette's positioning statement that now we're in the subscription business and doing home delivery direct-to-consumer, but that doesn't change the positioning of the brand in the mind of the consumer," said Roger Beahm, professor of the Practice in Marketing at Wake Forest University in Wake Forest, N.C. "Once the brand owns the positioning, even though a major brand may try to reposition itself by adding this characteristic, it's easier said than done." That's why some larger companies look to acquisitions instead of trying to recreate the wheel themselves. 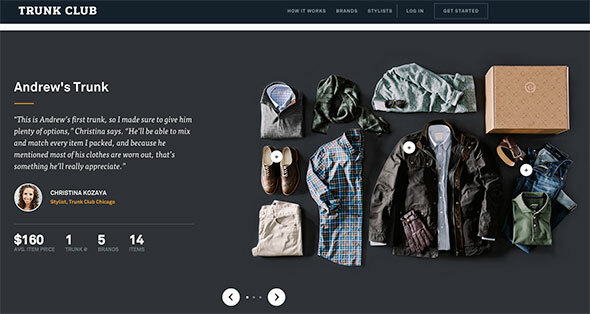 Nordstrom (JWN - Get Report) , for instance, noticed that the subscription-based shopping service Trunk Club was gaining a critical audience, so it bought the start-up instead of building a similar business itself. It was faster to buy than build, the company said. "We have a dominant men's business and by layering in Trunk Club, it really allows us to service more customers in the manner they'd like to be served," Nordstrom President Blake Nordstrom said during the company's second-quarter earnings call last August. "We felt, given it would probably take a year or two for us to take a sizeable portion of capital and some of our leadership team to get this business up and running, that we were best served acquiring Trunk Club to get up and running ASAP." Changing consumer tastes are also helping start-ups edge out big consumer products giants and retailers. Jessica Alba's start-up, The Honest Company, for example, focuses on sustainable, healthy household products that speak to today's consumers in a way that would be hard for P&G to achieve. 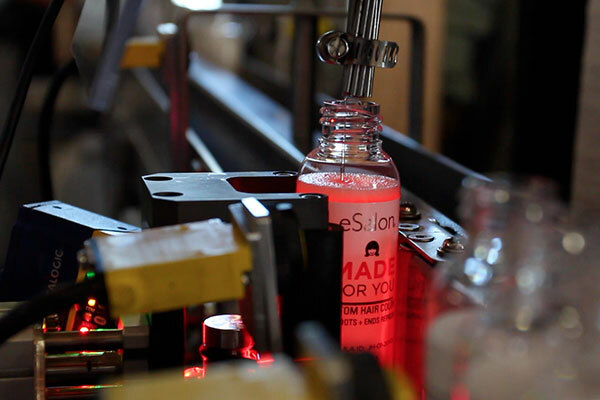 Start-up eSalon, meanwhile, is customizing hair coloring, challenging companies like L'Oreal. Consumers can select from thousands of color combinations, matching it to their skin and eye color along with their coloring history. It uses an automated technology to mix the customized colors for each individual customer. After four years of operation, eSalon hit its millionth order in September 2014 and currently has more than 100,000 subscribers, up from 47,000 in 2013. According to eSalon CEO Francisco Gimenez, the hair color industry is a $2 billion industry, but there was a gap between the customization available in professional salons and the low price of pharmacy boxed coloring kits. Gimenez decided to use technology to bridge this gap, and he believes that this goal was best achieved in a small start-up environment where a multidisciplinary team can work together on everything from e-commerce, to customer service, to production, to marketing, as opposed to a large corporation where the production team most likely never interacts with the e-commerce team. Steven Gal, visiting associate professor at the Samuel Curtis Johnson Graduate School of Management at Cornell University, believes that start-ups with a unique benefit targeted at a niche demographic or audience are those most likely to succeed against larger companies. Indeed, Sanford Bernstein analyst Ali Dibadj has noticed in his monthly Nielsen data that most of the public companies he follows are losing market share, and private labels aren't gaining. He said he assumes smaller brands are gaining some of that market. "What you're finding among consumers is much more distrust of large brands," Dibadj said. "I think it's a unique time in the consumer industry's history where you're seeing a lot of 'Davids' beating 'Goliaths' every day."